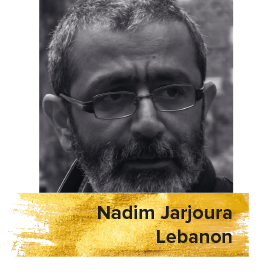 Nadim Jarjoura is a Lebanese journalist, author and film critic whose articles and cinematic studies have been featured in an array of high-profile Arab magazines that have been published across Lebanon, Kuwait, Oman, France and Qatar. As an author, he contributed to the writing of several books on Lebanese and Arab cinema and films that tackled the 9/11 attacks. He was a FIPRESCI juror at the Dubai International Film Festival 2011, and a jury member at the Tripoli Film Festival in Lebanon.